Easitech Pte Ltd is one the paper bag supplier in Singapore. 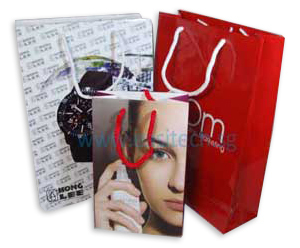 To reduce the cost of paper bag printing, Easitech also offers design template for custom paper bag printing. Customer can design the paper bag from the paper bag design template to avoid die cut mold cost especially if the order quantity is low. Besides paper bag design template, customer can also choose different materials and finishing to print on paper bag. Printing paper bag with additional lamination finishing process is recommended. Paper bag with lamination is not only water resistance, it also protect the printed color on the paper bag and increase the strength of the paper bag. Woodfree: Similar to the photocopier paper in office. Surface of paper is not glossy. Artpaper: Surface of paper is glossy. Artpaper + Matt Lamination + Spot UV: On top of the matt lamination finishing, with the design of partial spot UV which will give your paper bag stand out among the rest. 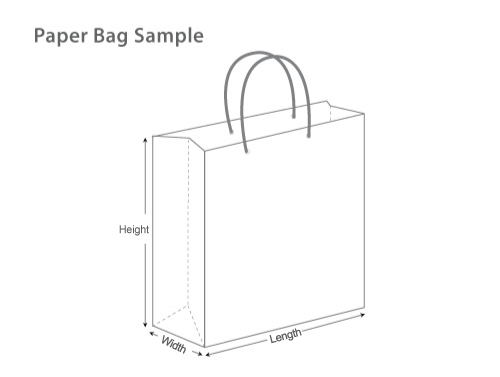 Please select paper bag size and download the design template for your custom design paper bag printing. Click here to download paper bag template in adobe illustrator format. Below is the sample of paper bag.